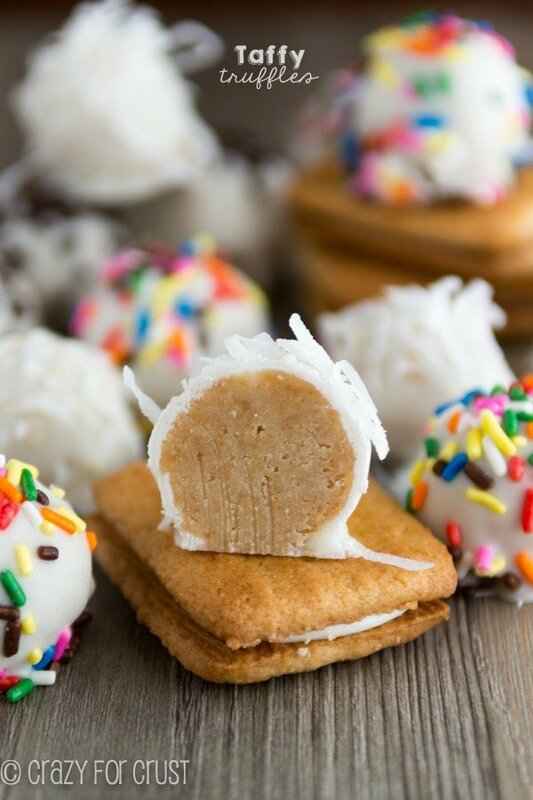 Move over Oreo Truffles, there’s a new candy in town: Taffy Truffles, made out of Mother’s Taffy Cookies! Can we talk for a minute about towels? 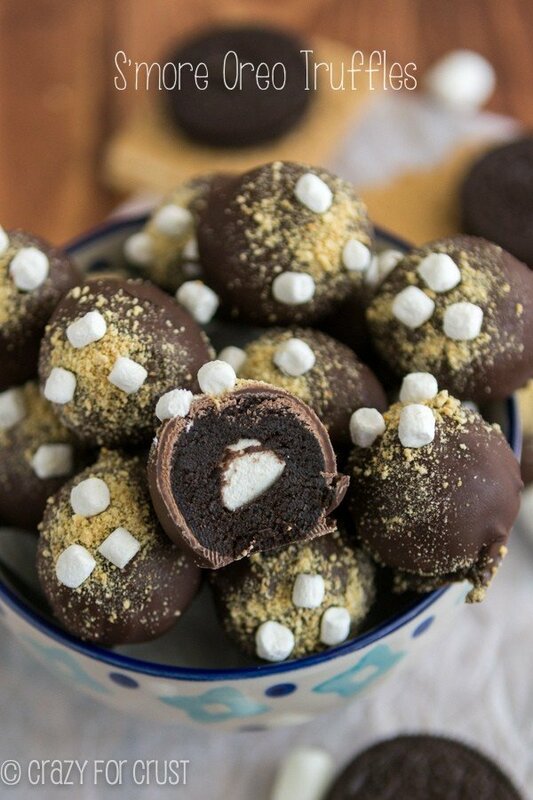 Because it has so much to do with these truffles. Why is it so hard for a kid to hang up a wet towel? WHY? Step two: Hang up towel on hook, yes, hook, that your parents provide for you so you didn’t have to hang it on a towel bar because obviously using a towel bar is for highly intelligent educated adults. Step three: Throw towel on floor wherever you dry off: bathroom, hallway, bedroom, garage. Step four: Mom cleans room and finds dry crunchy towels buried in piles of “I put it away” laundry. WHY? Is it really that hard to hang it on a hook? Whew, sorry. Had to get that off my chest. Now, truffles. Several years ago my mother-in-law reintroduced me to Mother’s Taffy Cookies. And by reintroduced I mean I ate an entire package in a weekend visit. Since then I realized that I must stay on the wagon – I can’t even buy them. As it is, you’ll notice this recipe calls for 8 Taffy Cookies. Why 8? Why not 10? Because in the two days it took me to get to this recipe after buying them there were only 10 left in the package and I needed two for props. It’s hard to describe what the flavor even is, except that it’s got coconut in it. The cookie is crunchy and tastes like brown sugar and toasted coconut. The filling is sweet and creamy, like Oreo filling, but better. The front of the package boasts “Dulce de Leche” but, honestly, all I get is coconut. Oreo Truffles are all the rage these days and I’ve made my share. I’ve covered them with peanut butter and made them into s’mores. And about a year ago I bought a bag of these Taffy Cookies to make Taffy Truffles out of them but a few days went by and I ran out. Anyway, these are the same thing as an Oreo Truffle, but made with a different cookie. This same method works with 99% of cookies, BTW. You just have to adjust the amount of cream cheese you use depending on the filling or dryness of the cookie itself. This recipe has 4 ingredients and comes together in literally minutes. If you love Taffy Cookies, you’ll love these more. They have all the flavor but are soft and sweet like a truffle. Moral of the story: go buy these cookies, and make these truffles. 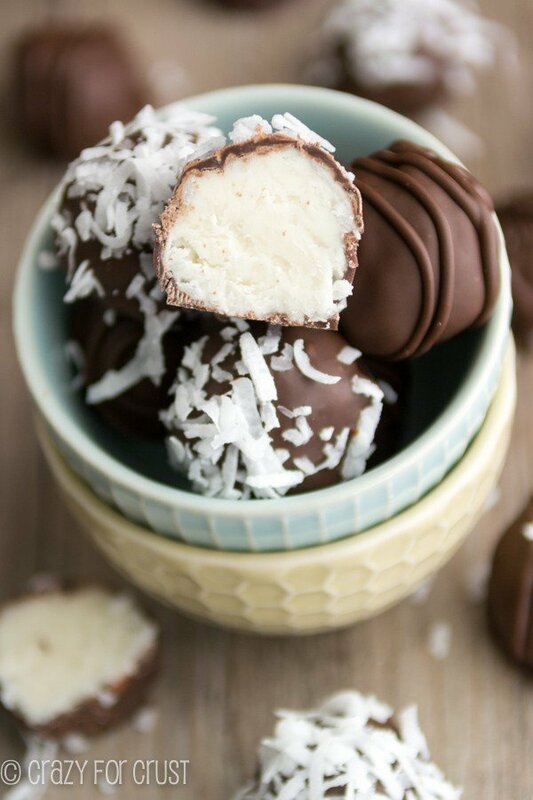 If you love Oreos truffles but you also love coconut, I guarantee you’ll LOVE these. Make yourself a batch and then go pick up towels. It’s what I did. 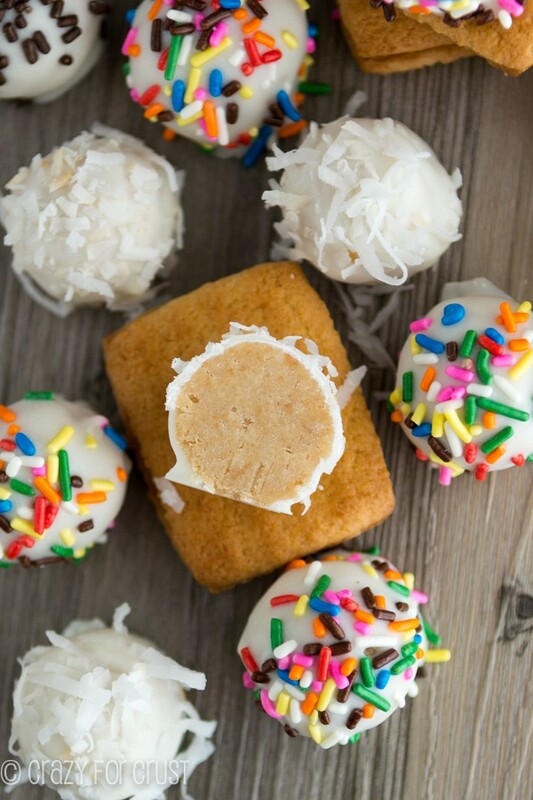 Grind the cookies and cream cheese in a food processor until a ball forms. Scoop 1 tablespoon sized scoops of the mixture and roll into balls. Place on a wax paper lined cookie sheet and chill for 30 minutes. When ready to dip, melt your candy according to package directions. 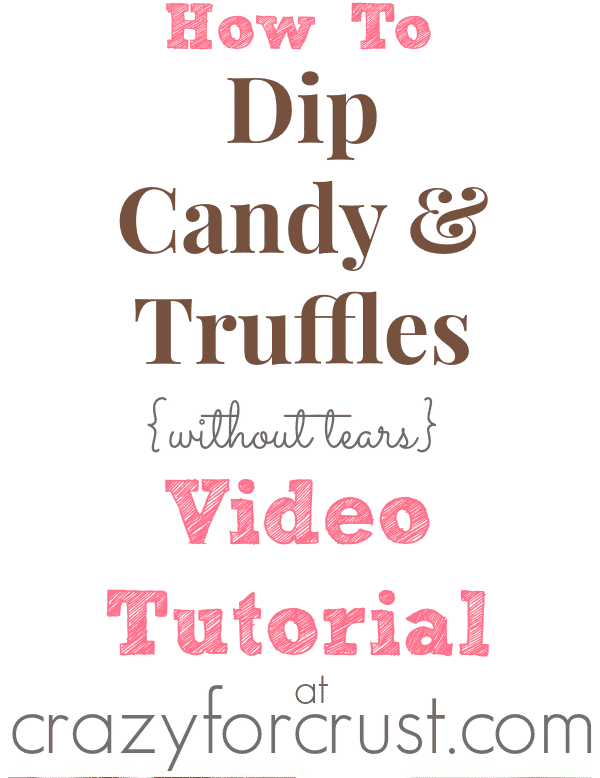 (Use these helpful tips for dipping.) Dip each truffle, tapping off the excess and place back on your wax paper lined cookie sheet. Top with sprinkles or toasted coconut for topping. Chill until set. I’ve never heard of Taffy Cookies but now I’ve to try them! Your truffles look fantastic! I have never had one of these cookies before. Looks good! OMG, those are the best cookies ever! Those and English Tea. Thank you for sharing this recipe as I will be making them this weekend. I’ve never heard of these cookies before! I live in VA. Do you suppose they only sell them on the west coast?? How can I get these yummy cookies? 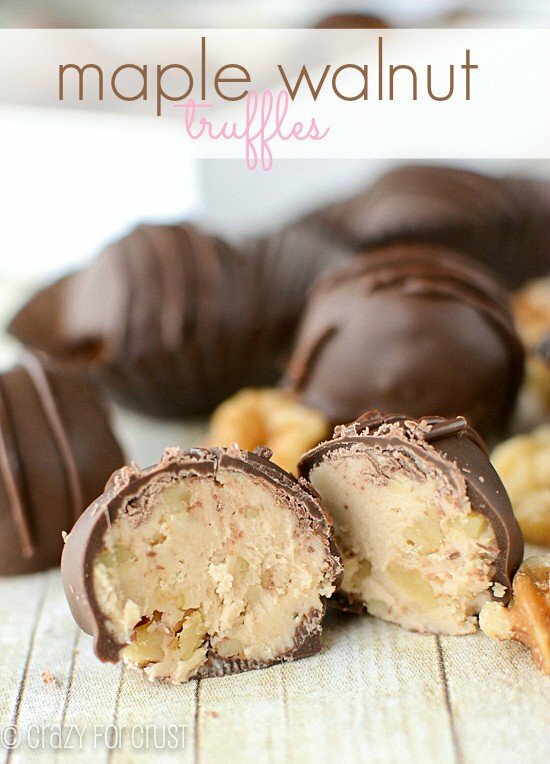 I want to make these truffles NOW!!! Thanks for all your great recipes! I totally hear ya on the kids not hanging up their towels! Someday they’ll have kids of their own who will do it to them! Mwahaha! 😉 These truffles would totally disappear in my house! They look fantastic! So yummy! Gonna try this truffles soon! It’s a long time from the last time I have one. Thank you for the recipe!